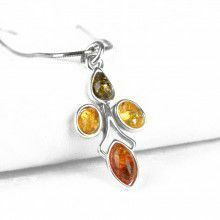 Cognac amber stones glittering with natural inclusions make up the leaves of this cute .925 sterling silver four leaf clover pendant. 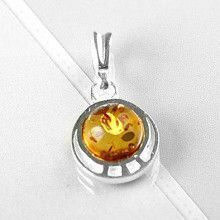 Pendant hangs from a simple silver bail. 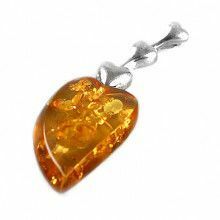 Pendant measures 1 3/8" x 5/8"